A big goal for many distance runners is to get faster, and my guess is that if you’re reading this post, you’d like to work on getting faster, too. If you’re just starting out with speed work, simpler speed workouts like fartleks and strides are a great place to start. However, if you’ve been doing basic speed workouts like those for a while, it may be time to up your game and add in some weekly structured speed workouts. 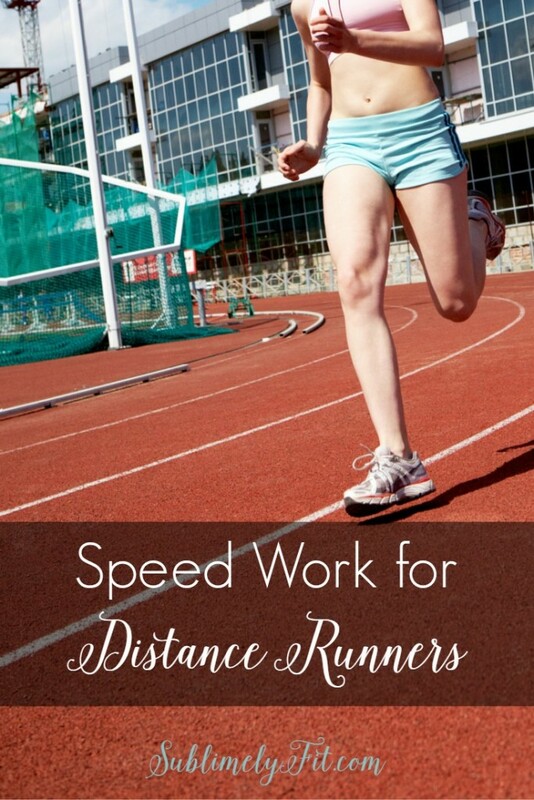 The workouts below are great speed work for distance runners, and although it’s certainly not an exhaustive list of the workouts you can do, they’ll definitely help you on your journey to get faster. How fast should I run intervals? Regardless of what distance you’re training for, it’s important to make sure you’re running intervals at a proper pace. If you’re working up to a 4:30 marathon, running 800 m repeats at a 6:00 min/mi pace is not the best idea. To find out how fast you should be running your intervals, first take a recent finish time from a race that you ran hard, or run a one mile time trial. Then, plug it into a pace calculator like the Runner’s World Pace Calculator or my personal favorite, the McMillan Calculator. The calculator will tell you the pace you should aim for as you run different interval distances. In interval workouts, hard running is interspersed with jogging to recover from the hard bout of running. A good, easy-to-remember rule of thumb if you’re planning your own workouts is to jog half the distance of the interval you’re running as a recovery. For example, if you’re running 800 m repeats, jog for 400 m as recovery. For the 5K, you really want to work on speed, which means focusing on shorter intervals. Workouts including 200 and 400 m repeats are great for 5K runners, such as 6 x 400 m with 200 m recoveries. (You run 400 m at the pace suggested by a running calculator or your coach, jog 200 m, then run another 400 m repeat, jog 200 m, etc.) Slightly longer repeats, such as 800 m and 1000 m at 5K goal pace are also wonderful for 5K runners. You’ll teach your body how to run at goal pace and gradually increase the duration that you’re able to hold your 5K pace. Most 10K speed workouts are going to be very similar to a 5K workout. Focus on mostly shorter intervals to work on speed, interspersing workouts with longer intervals at goal pace. At slightly longer distances like the 10K, you can add in a few mile repeats at goal pace to help you work up to holding goal pace for your race. Intermediate and long intervals are fantastic workouts for half marathoners. To work on sheer speed, 400 m and 800 m repeats are a great option. Early in your training plan, start with just a few repeats, maybe 3 or 4, and gradually increase the number of repeats you run, increasing by one or two repeats a week. Long repeats at goal pace are a great idea for half marathoners, too. Try running 2 or 3 mile repeats at goal pace, jogging for a few minutes between each interval. Longer intervals are best when training for marathon workouts. One of my very favorite speed workouts for marathons is Yasso 800s, particularly because they’ve worked so well for me in the past, and they’re incredibly easy to run. You simply run 800 m repeats at a pace in minutes and seconds that you’d like to run your race in hours and minutes. For example, if I want to run a 4 hour marathon, I’m going to run 800 m in 4 minutes (8:00 min/mi pace) and then jog for 4 minutes recovery. I usually start with running four or five repeats and work my way up to 10 repeats 2.5 to 3 weeks before my marathon. 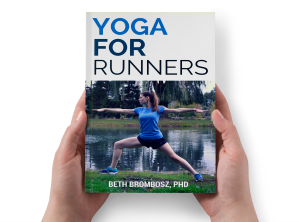 Running longer intervals at race pace is also a great idea for marathoners. Going out too fast is one of the best ways to have a terrible marathon, so it’s really important to learn what your race pace feels like in your body so you can hold that pace for 26.2 miles. Early in training, start by running 2-4 miles at marathon pace a few times in a longer workout. Some advanced training programs will have you work up to running 14-16 miles at goal marathon pace. The more time you spend running at goal pace, the easier it will be for you to maintain goal pace on race day. Do you do speed work regularly? Runners: what’s worked for you to help you get faster? Any questions about speed workouts? I think adding speed workouts slowly but surely into weekly training schedules is the best way to get speed. Start off with things that you’re comfy with, i.e. 400s or short tempo runs. Great tips! I never did this when I was training long… my goal was to FINISH!! But I’d like to get to that point someday! Great tips! I love those longer repeats at goal pace for half marathon and marathon training – so effective and they’re a great way to log some quality miles while still maintaining that higher training volume. 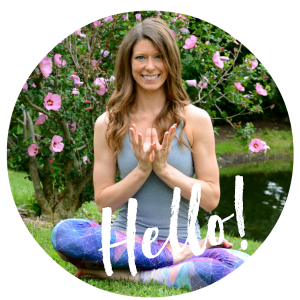 when i did speed work during half marathon training, my speed improved so much! Thanks for sharing this. I was wondering about speedwork and this definitely lays it out in easy to understand terms. Great info! I’ve just recently started incorporating speed work, so it’s great to get some advice. I agree that speed work really works to get faster. My twin sister recently ran head to head on a 5 km race. We both included speed work in our training plan and it payed off big time, we both P.R’d in our race! Nothing helps you run faster than practicing exactly that! Sometimes we forget how simple training can be.